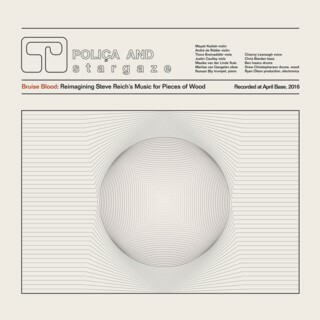 POLICA, 'Bruise Blood: Reimagining Steve Reich’s Music for Pieces of Wood' 12"
Blazing a trail across the modern musical landscape with three albums of dark, personally political pop, Poliça has distorted the conventions of production and form to create deeply affecting songs that claw into your consciousness. This fourth release, a collaboration with Berlin-based neoclassical powerhouse s-t-a-r-g-a-z-e, dives further into the creative form that Poliça has developed since its inception. 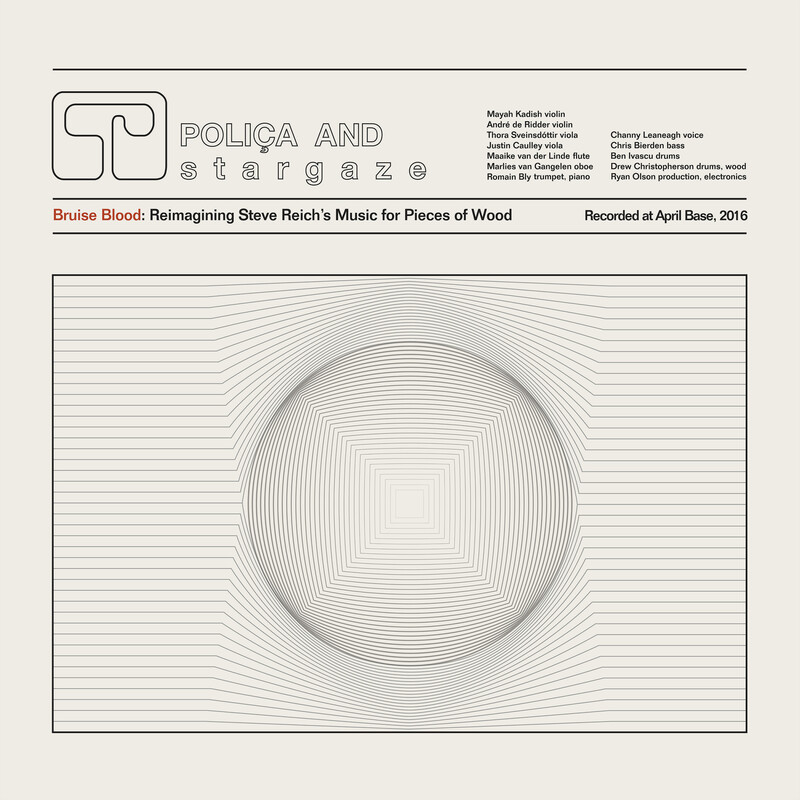 Taking minimalist pioneer Steve Reich’s “Music For Pieces of Wood” as a basis and corrupting its polyrhythms across a continuous twenty minutes, the recording pushes the boundaries of both artists in a truly engrossing and transportive collaboration. Pressed on 12” etched vinyl.